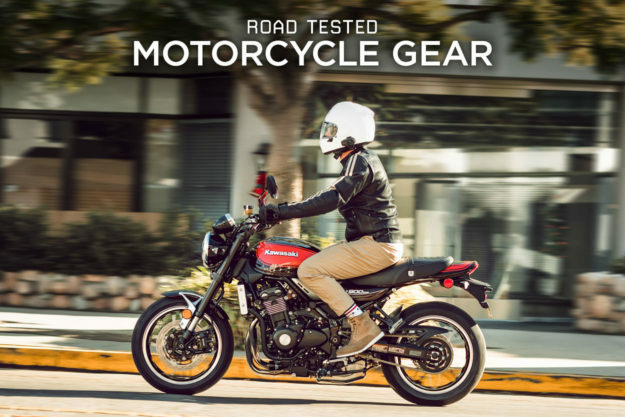 Road tested: Gear from Arai, Alpinestars and REV’IT! 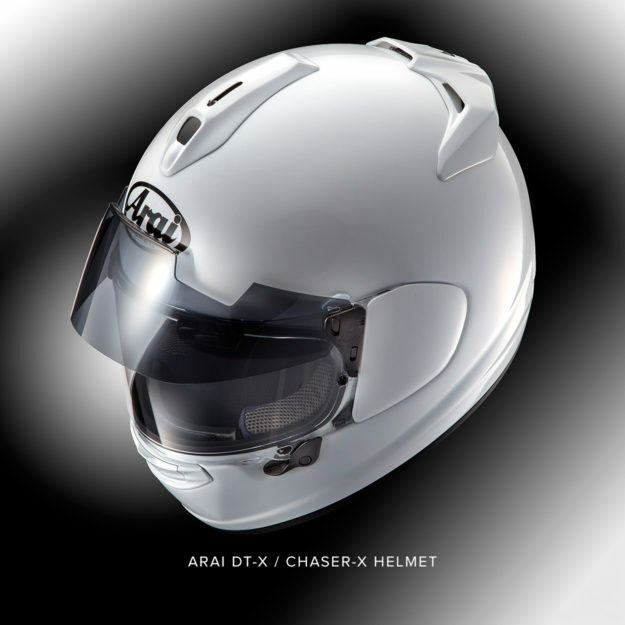 Arai DT-X/Chaser-X Constructed using their ubiquitous, egg-shaped R75 shell shape, the DT-X (or Chaser-X for the Euro set) is Arai’s freshest take on the Swiss army helmet. 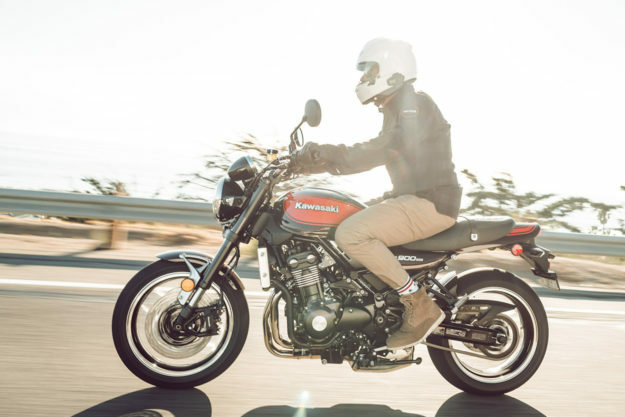 They claim the DownTown-X excels at commuter duty, works well for extended trips, and can even tackle a track day or two. But is it worth your dosh? Out of the box and squishing my cheeks, there is little not to like about the fit and finish. The interior padding is soft and supple, and while it isn’t coated in hides from the Rolls-Royce warehouse, the fabric is antimicrobial. 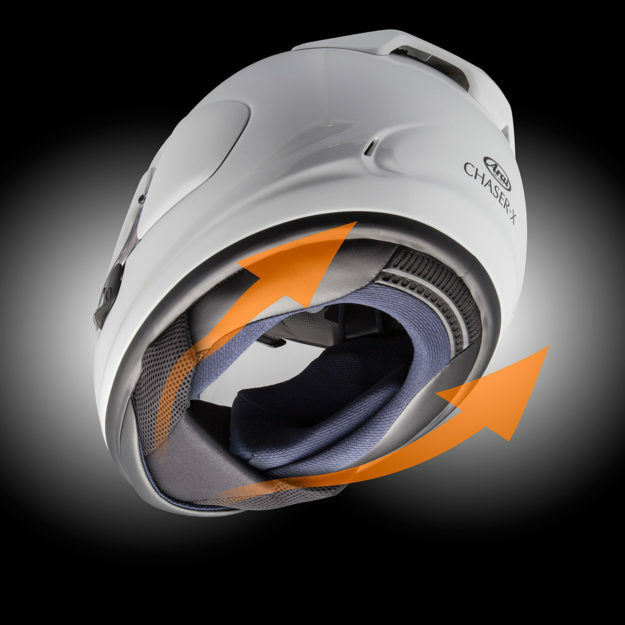 As an added bonus there are peel-away layers integrated into the liner and cheek pads to tailor the fit to your liking. 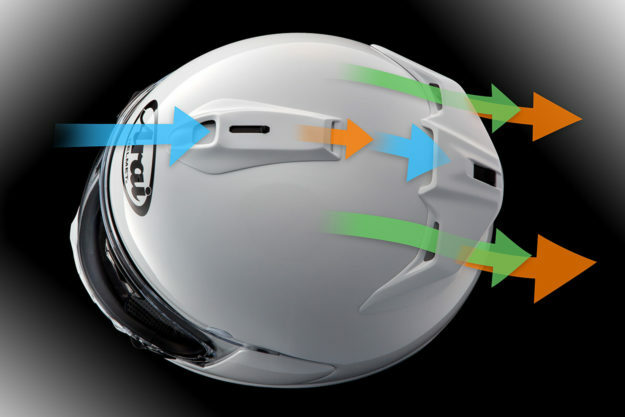 And much like every Arai, there are notched areas to accommodate eyewear—a revelation if you roll with shades. If you’re like me and enjoy tunes when you ride, the DT-X also has cutouts to allow optimal speaker placement without any fuss. And despite not having a large chin curtain, the noise levels at speed, even on a naked bike, are pretty impressive. I’d still (and will always) recommend earplugs but you can tell the DT-X wasn’t cobbled together by drunks in the dark. The viewport is wide enough to keep tabs on all manner of woodland creatures plotting your demise in the twisties, and the ‘Variable Axis Shield’ system clears fog quickly with a nifty lever that activates a demisting position. I’ll admit the first few times my gloved hand fumbled with the device, and I probably looked like a newb ready to rip things apart at a few stop lights. But once I got the hang of it, things have been easy-breezy ever since. As a bonus, the VAS system is also a cinch for swapping shields. Once in motion though, you really won’t need to fiddle with the visor. With 10 vents, including two right in the upper portion of the shield itself, airflow is incredibly good. 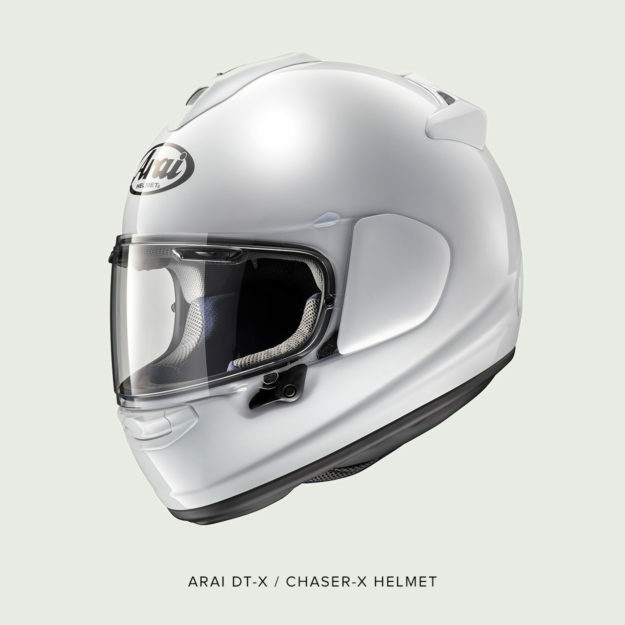 I’ve worn the DT-X in the sweltering heat of California as well through the onset of a Canadian winter and have been extremely impressed by how well this helmet can micromanage temperature. Instead of running all holes wide open, like I usually do, tailoring vents to deliver cool air exactly where you want it is a possibility. Sophisticated stuff, this. 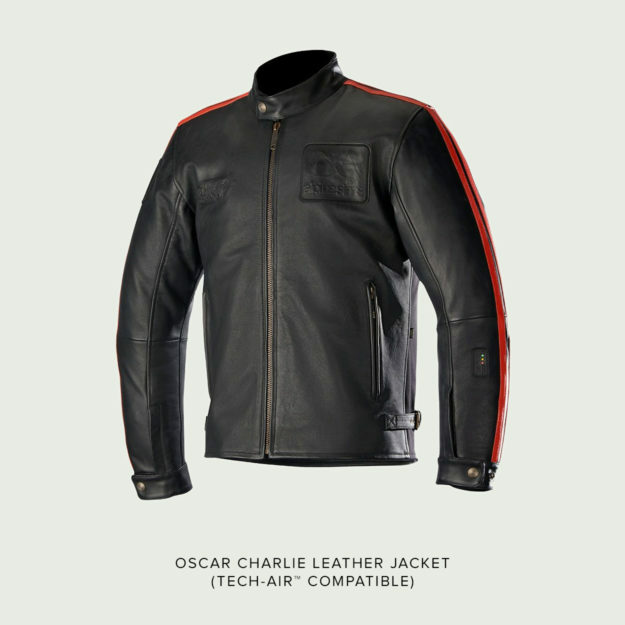 Alpinestars Oscar Charlie Looking for a stylish leather riding jacket? Great news! You’re spoiled for choice. Every brand under the sun has cottoned on to the fact that not everyone wants to look like a Power Ranger when they stroll into the office, so they offer ‘urban’ styled gear to suit. 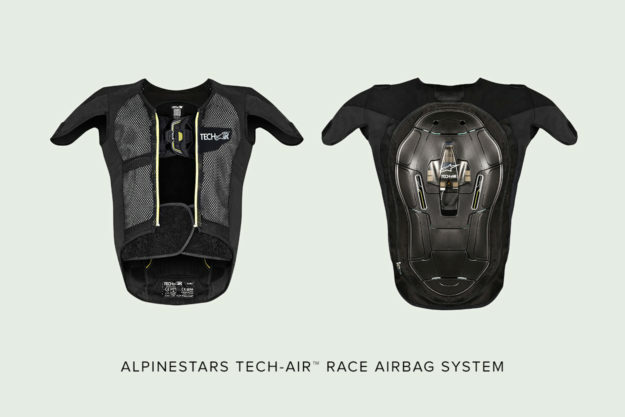 But only Alpinestars, so far, has added cutting edge protection to bolster that style. 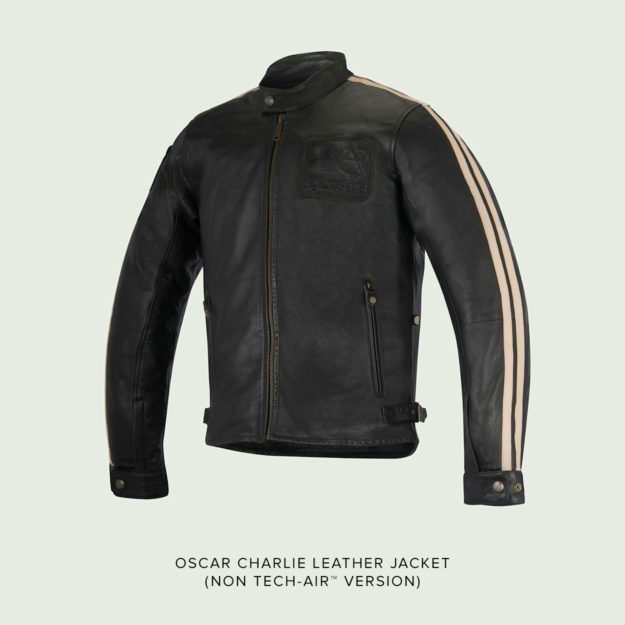 Developed for the retro Oscar line, the Charlie Jacket is the first of its breed to make use of Alpinestars’ ‘Tech-Air’ airbag technology. Tech-Air is a system developed to keep phenoms like Marc Marquez fighting for championships, instead of being laid up in recovery. 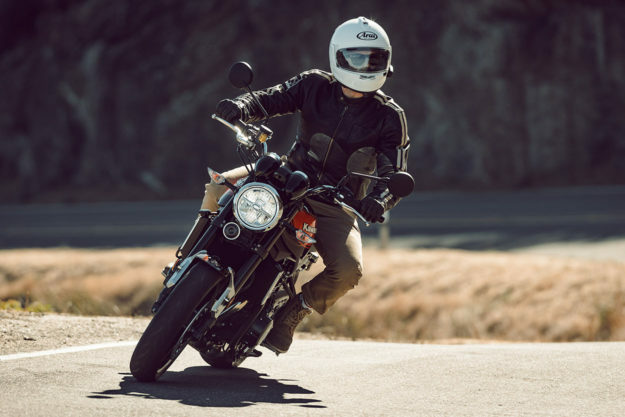 It’s an accelerometer-actuated, zip-in airbag system that puffs you up like the Michelin Man at the onset of a spill or accident. I’ve had some first hand-experience with the system (during a demo, not whilst breaking a bike, thankfully) and it works incredibly quick. 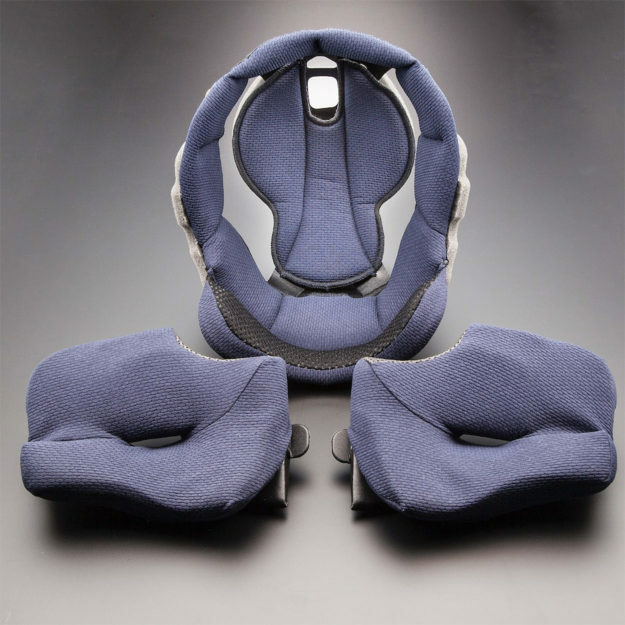 An incident takes 8-12 milliseconds to be detected and, once fired, the airbag inflates in 40 milliseconds surrounding your shoulders, neck, kidneys and chest. The superhero physique sticks around for five full seconds before beginning to deflate and allows movement (to get towards safer areas) even under full pressure. It’s a marvel of engineering and it (and systems like it) are the future for us riders. Fitted in the Charlie jacket, nobody would know you’re packing MotoGP levels of innovation. 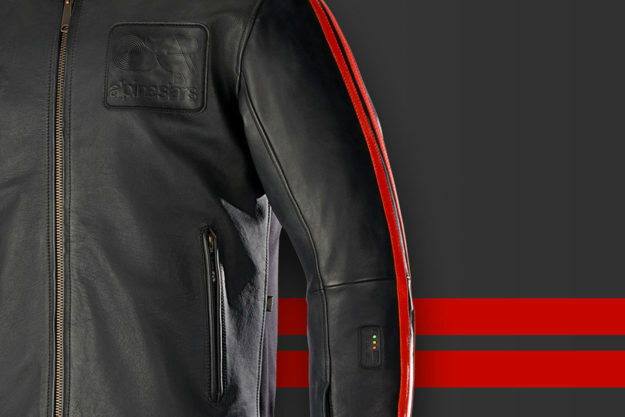 It looks like a fairly standard yet stylish leather motorcycle jacket. The red accent stripes break up the subdued cafe aesthetic and, aside from some glowing LEDs on your left arm (that indicate the system is armed and working) everything has a vintage look and feel to it. The cut on the Charlie Jacket is on the slender side, so if you’re still working off that holiday weight it may be best to size up. At six feet tall and hovering around 200 pounds, an XL fitted me with enough wiggle room for a second layer underneath. The sleeves are well articulated and even without any kind of break-in, movement isn’t hindered at all. For the Z900RS launch I actually wore the $550 non-TechAir model, to see what the differences were. I found that the lack of textile expansion panels—integrated to allow deployment—delivered a more stylish cut. And I also thought the vintage brown colorway (below) was slightly more attractive, at least while straddling my rootbeer float. REV’IT! Alpha Chinos Both Wes and I are big fans of the urban line of gear from REV’IT! The entire catalog offers CE levels of protection in garments that totally fly under the radar. 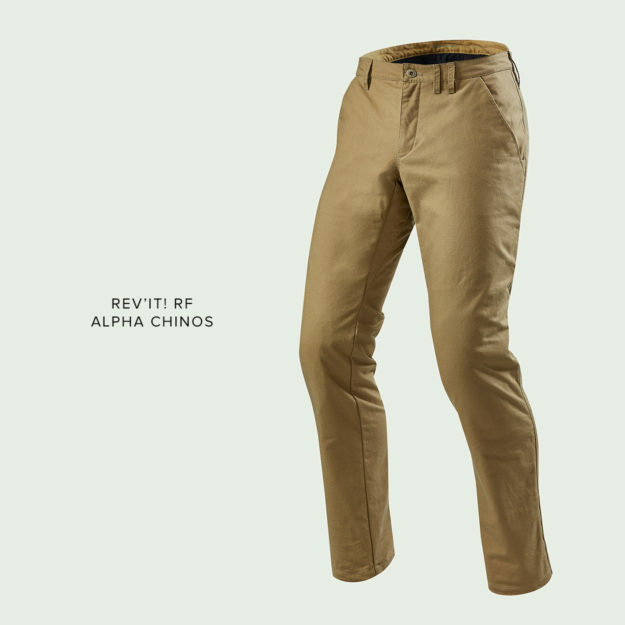 And recently I’ve been wearing the Alpha RF Chinos—just about everywhere, on the bike and off. Available in either black or sand, the Alpha Chinos are as rough and tumble and versatile as a young Al Pacino. Their strength is thanks to the interweaving of 10oz Cordura denim and REV’IT!’s in-house PWR Shield abrasion resistant fabric. We’re told this combo offers bacon-saving levels of protection, and they certainly feel up to the task. There are internal pockets at the knees that come loaded with CE Level 1 padding that is so thin you barely notice it’s there. There are also a two slots at the hips to accommodate the same style of padding but those will set you back some extra cash. In the looks department the Alphas are easily the stealthiest set of armored riding pants I’ve ever seen. In the sand colorway they look like the sort of strides you could pick up at the local J. Crew before heading down to clink Cape Codders with Buffy and Ellis at the harbor. Or, you can ride to work protected and stroll into the office, blending in seamlessly. That choice is yours. Most importantly, the Alphas were designed with guys like us in mind. Where every pair of chinos I’ve ever owned have a slash pocket, REV’IT!’s designers have modified the bottom stitch on theirs to include a flat, horizontal joinery flap. 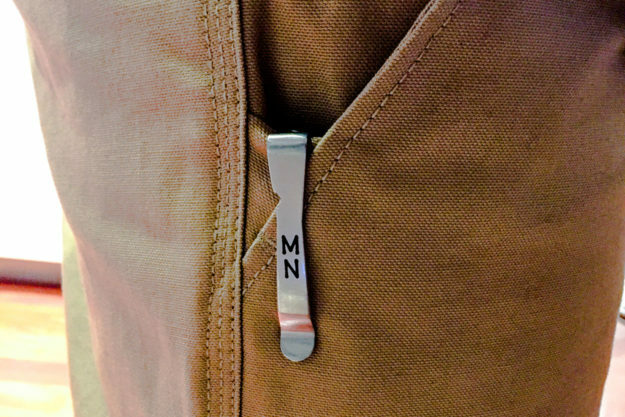 What that tiny triangle of fabric does is enable you to stow your pocket knife (or tire pressure gauge) where it belongs without its tip pointing awkwardly when you sit down. It’s a small thing, I know. But man, what a difference it makes in terms of comfort for us Boy Scout types. There’s also an extra panel that’s been sewed into the crotch area that REV’IT! calls a ‘comfort seat.’ Well, it lives up to its name. 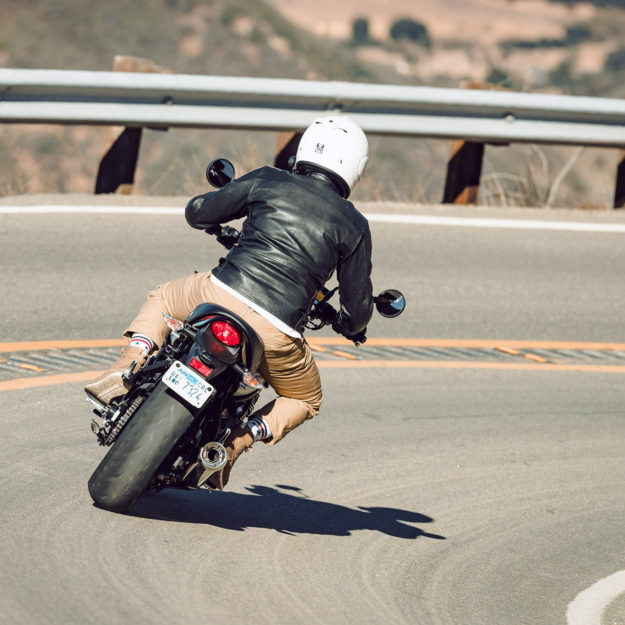 In the saddle, you have that extra bit of room you always seem to be looking for with normal trousers.